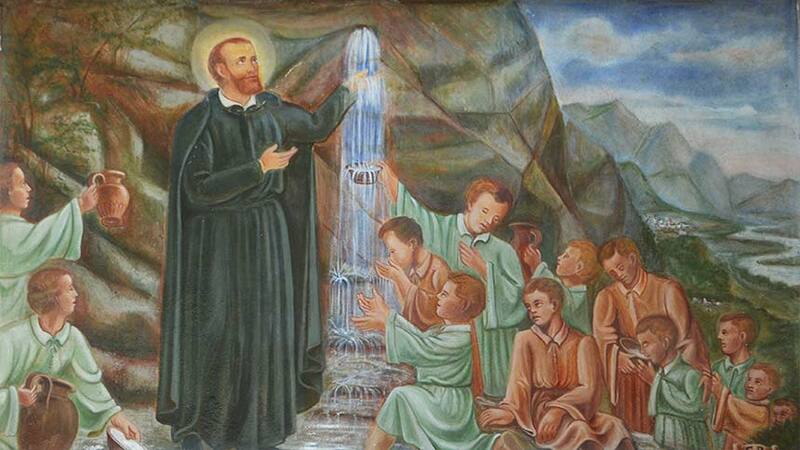 In Vercurago, in its upper district of Somasca, the sanctuary of St. Girolamo Emilani, who shared his life with the poor and orphans. 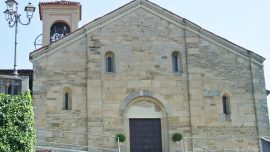 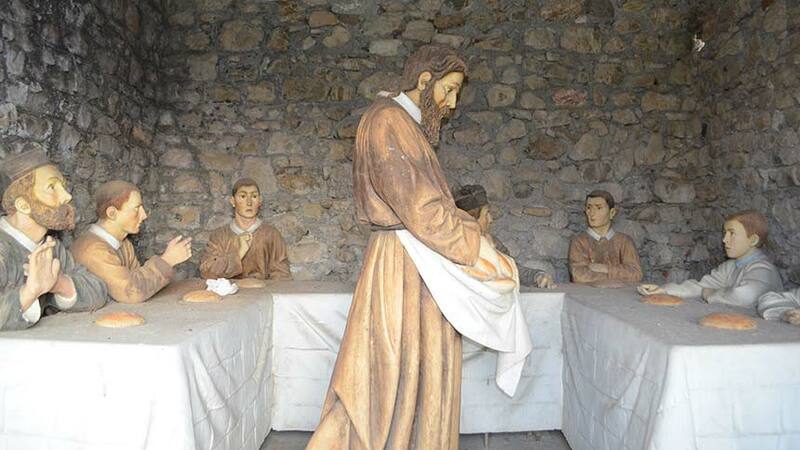 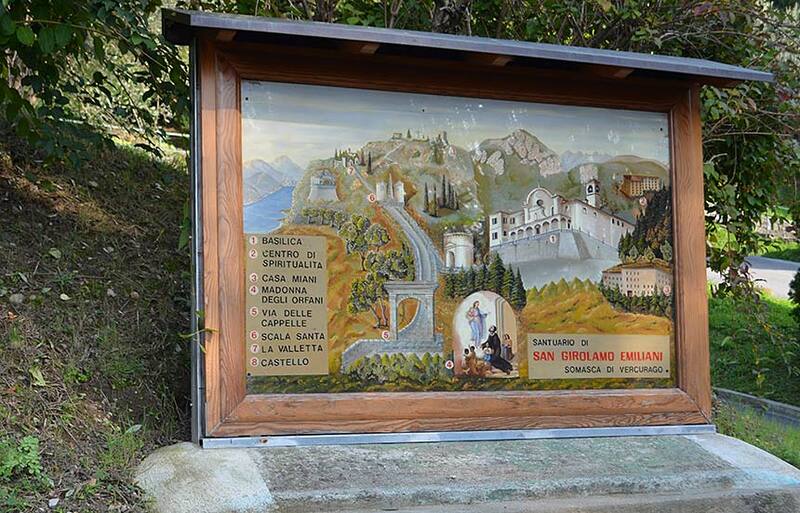 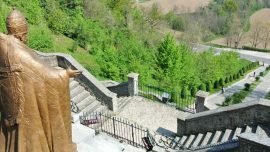 Accessible by car with a wide parking area available, Somasca in the upper part of Vercurago is the starting point for a religious itinerary tracing St. Girolamo Emiliani’s being, who shared his life with the poor and orphans. 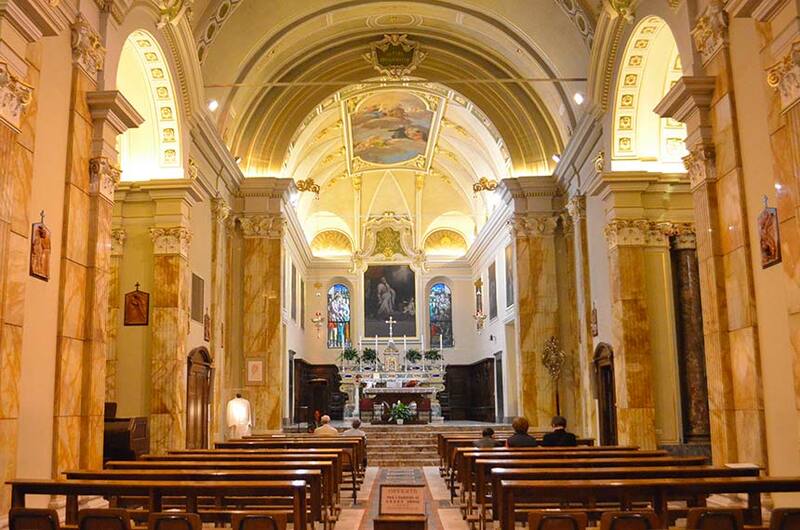 Firstly you meet the sanctuary of St. Girolamo Emiliani that greets the pilgrims coming here. 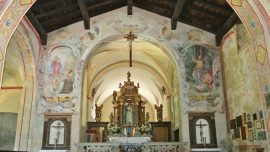 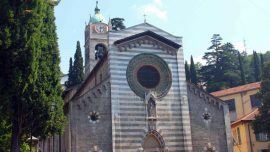 It has three naves and hosts some interesting artistic works such as a painting depicting St. Girolamo and a silver shrine containing the Saint’s remains, both dated back seventeenth-century. 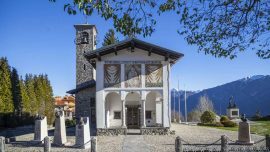 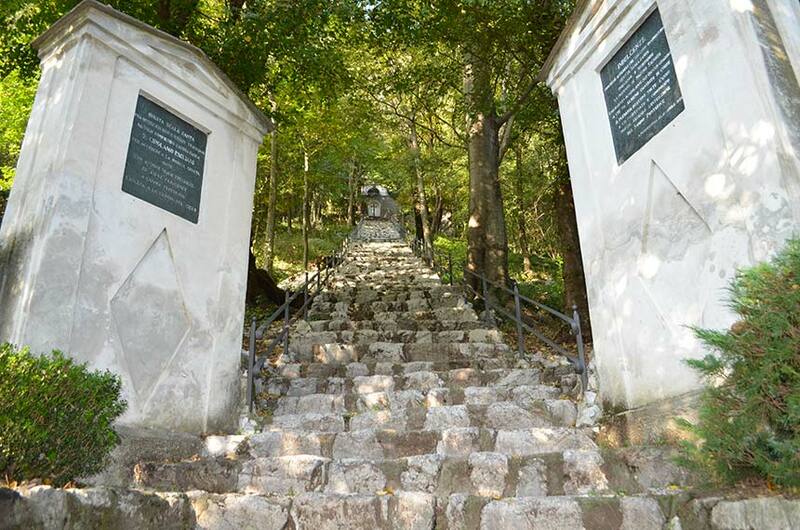 Nearby is the small chapel dedicated to Mary Mother of orphans, built around the home of the Saint. 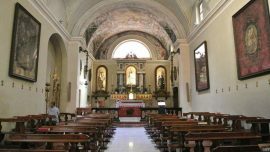 It has a unique nave and hosts a wooden sculpture representing St. Girolamo with three orphans kneeling before the Virgin Mary. 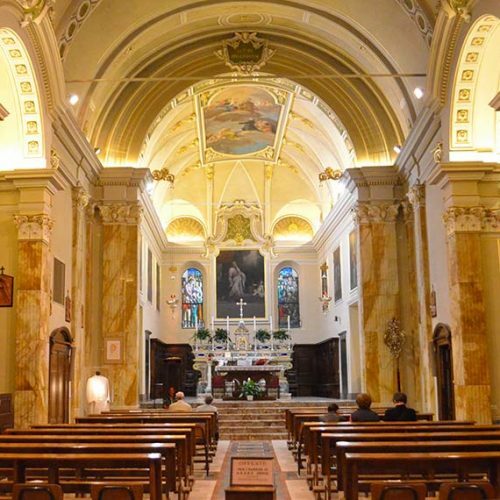 Noteworthy the carved marble Altar consecrated by the cardinal of Venice who later became Pope John XXIII. 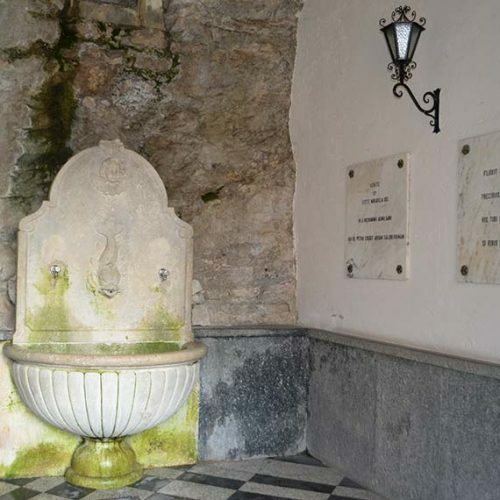 On the right side of the chapel the small room where the Saint died in 1537. 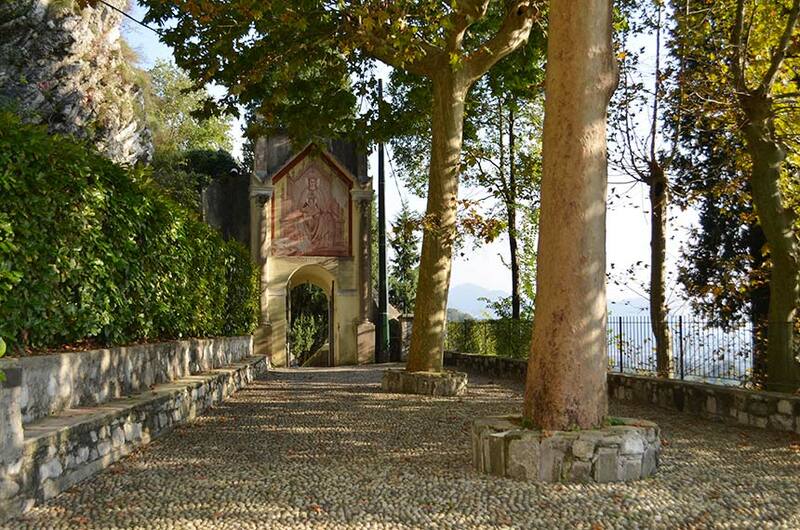 Continuing along the center alleyway you reach the entrance of the “Way of the Chapels” built in the eighteenth-century to welcome the several pilgrims that came here.there are Eleven chapels on the right side, each hosting a representation of the life key moments of St. Girolamo. 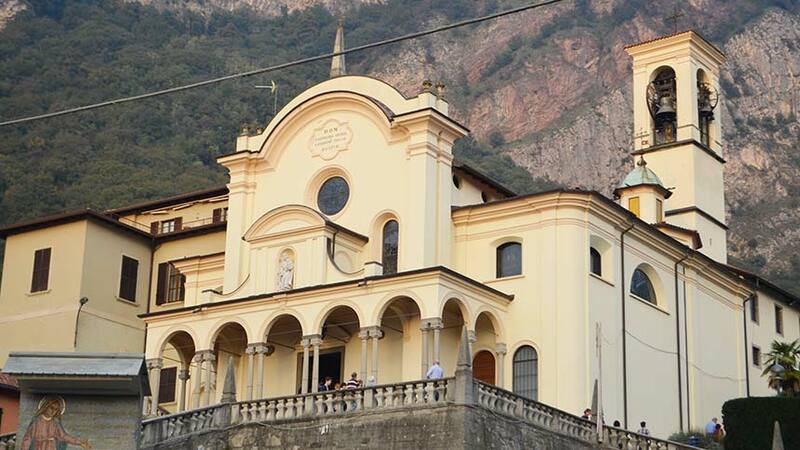 Quite at its middle there is the Scala Santa, carved into the rock leading to the hermitage where the Saint used to go in prayer, while at its end you find a little square where are located the Church of Resurrection with St. Girolamo Chapel and a natural cave used as hermitage, around which the church was built. 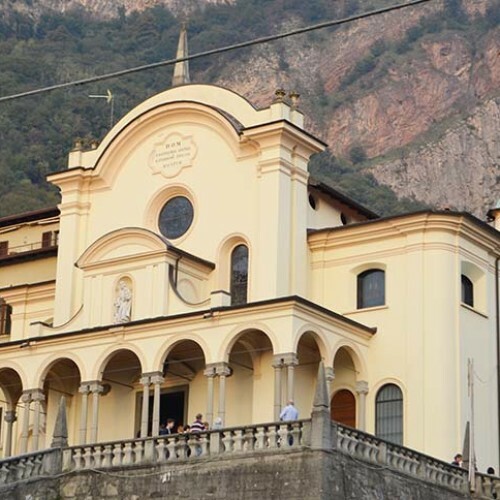 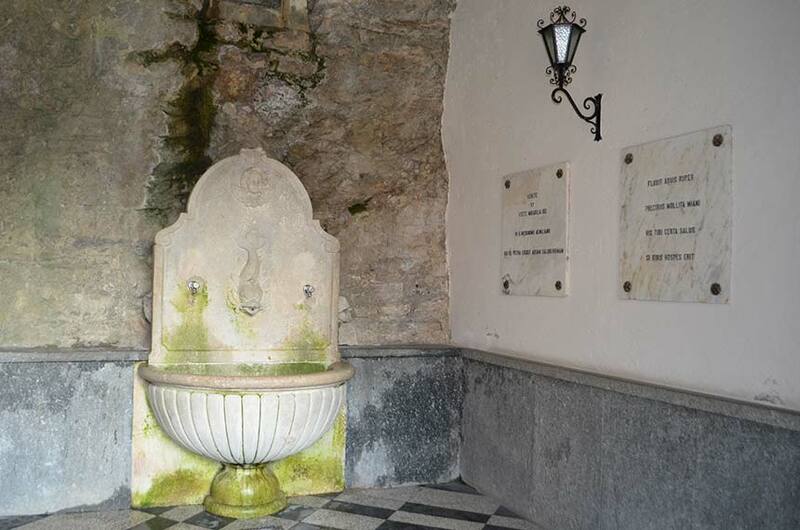 On the church’s side you find the Sala della Fonte (Source’s room) hosting a source of water. 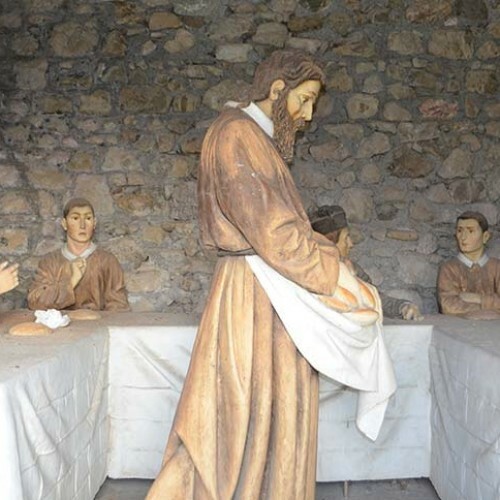 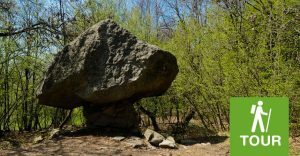 According to the tradition this is a miracle of San Girolamo, who touched the rock from which living water brought for orphans in dryness period. 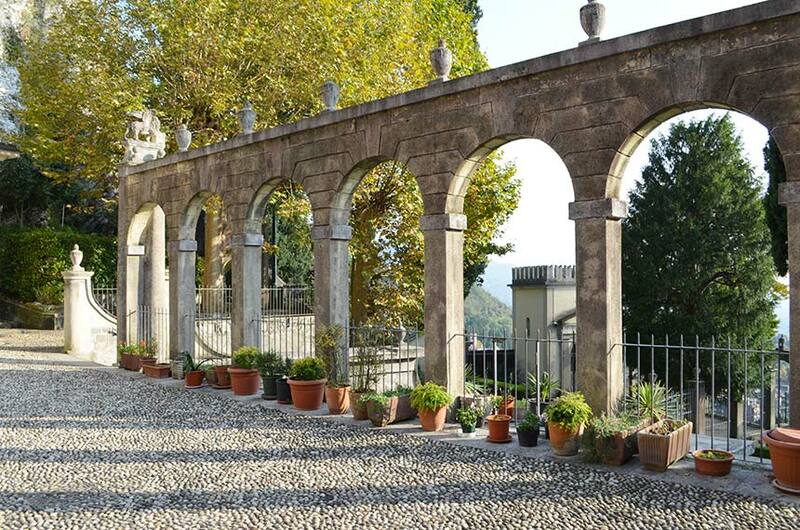 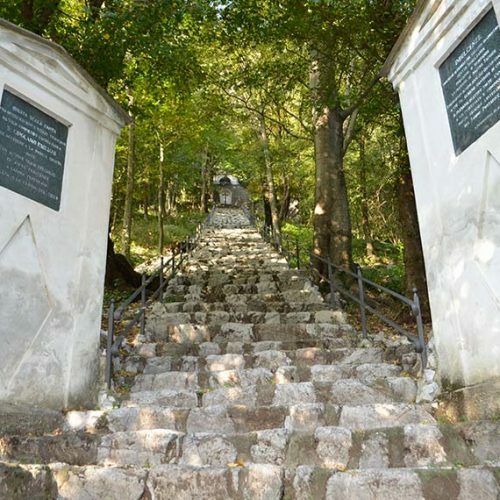 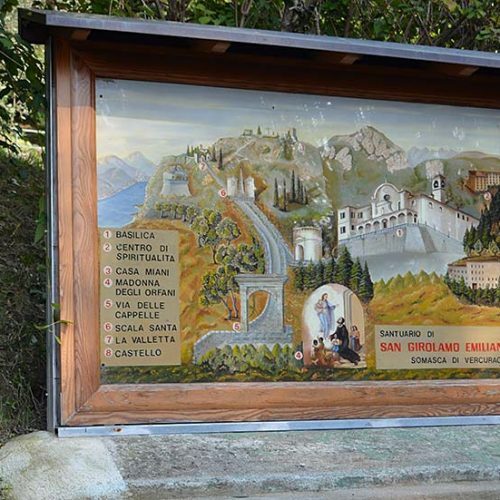 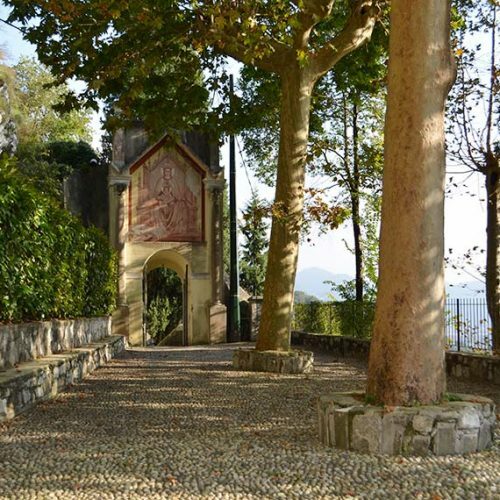 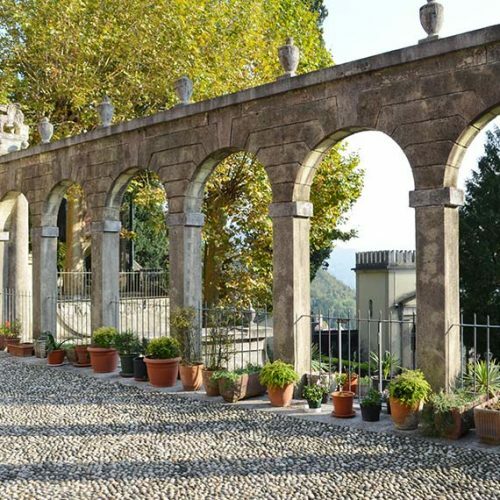 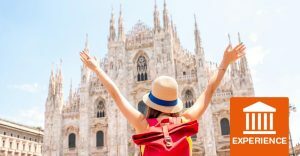 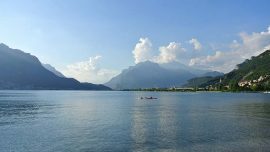 If you go on walking on the top of the hill the rests of the Castle of the Unnamed (castello dell’innominato) described by Manzoni in The Betrothed greets you and open a breathtaking overview on the Adda river, Lake Como and the surrounding mountains. 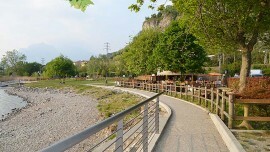 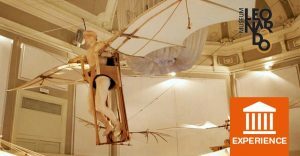 Somasca allow you to discover it in different ways as you prefer.